With a nervous smile, Michael Majcen closes the door of his private room. He eases into a tank filled with buoyant salt water and floats naked on its surface, with nothing but his own thoughts to keep him company in the darkness. After an hour he emerges looking relaxed and makes his way into Float Toronto’s lounge area. Majcen has just tried floating for the first time. “I lost track of where I am, how much times going by, and my mind starts to just wander,” says the fourth-year Humber Hawks volleyball player. He recognizes the “weight you didn’t know was sitting on your shoulder”. Before the recent expansion of float spas in North America, the floating community was exclusive to rich hippies and elite athletes. 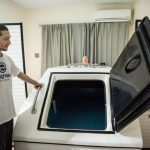 According to floatationlocations.com, co-founder Aaron Thomson says float centres have surged in popularity, which has made tanks more accessible to average people like 25-year-old Majcen. “It’s been exponentially growing in the United States and in Canada,” says the directory developer. “In 2011, there were only about five float centres in Canada, and we’re up to about 66 now,” Thomson says. This includes 21 locations in Ontario. Beyond Canada’s borders, elite athletes from around the world have used floating to enhance their performance. Olympic gold medal-winning athlete Carl Lewis, New England Patriots quarterback Tom Brady and Manchester United soccer striker Wayne Rooney are just a few high profile examples. The Dallas Cowboys credited sensory deprivation as a contributing factor to their 1993 Super Bowl win, according to northwestfloatcenter.com. The list goes on and on, including the Philadelphia-based Phillies and Eagles franchises, Australian Olympic teams in multiple sports, as well as Canadian Olympic snowboarding athletes. According to Escarpment Sports Medicine Centre’s website, preparation and recovery play a major role in training. Popular methods for both mostly focus on the flesh over the mind. Physiotherapy and massage therapy are widely used to treat muscle stiffness and aid joint mobilization. Hydrotherapy, which utilizes soaking in water (either cold, hot or a combination of the both), is another popular choice because of its effects on inflammation and muscle soreness. There are also compression garments, stretching, acupuncture and more—but what about the mind? Strengthening and recovering the psyche? Research suggests the same: the key to unlocking the full potential of an athlete is to fully unlock the power of their mind. In a 1990 Washington State University study, researchers investigated the effects of Restrictive Environmental Stimulation Therapy (REST) on the competitive performance of 20 intercollegiate tennis players. 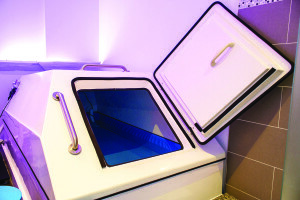 The 10 men and 10 women had their athletic performance assessed before and after floating. Subjects who used REST and visualization performed significantly better than their counterparts who did not float. There’s another way floating can help provide mental clarity. 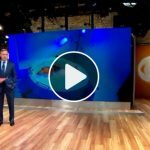 The Float Clinic and Research Centre (FCRC) at the Laureate Institute for Brain Research in Austin, Texas, is the only one of its kind in North America. Doctors at the FCRC are studying how floating helps people cope with chronic stress, anxiety and post-traumatic stress disorder (PTSD). According to their research, REST puts the brain in a meditative state. Scientists in Europe have been exploring the effects of floating on a variety of fronts, including subjects who experience an average amount of stress. 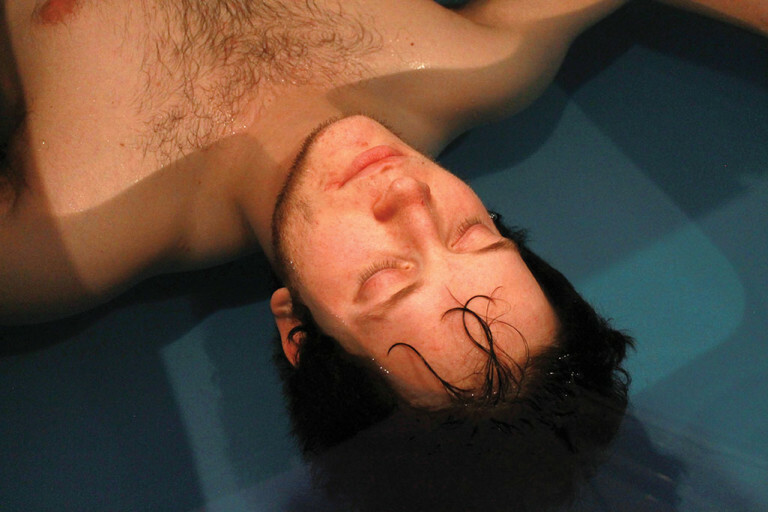 A 2014 BioMed Central study showed floating had “beneficial effects on relatively healthy participants” and there was a remarkable link between “mindfulness in daily life” and “altered states of consciousness during the relaxation in the floatation tank”. Stress management expert Elizabeth Scott explains the biology of stress in an article titled Cortisol and Stress: How to Stay Healthy. She writes that cortisol is also called the stress hormone, because it’s “secreted in higher levels during the body’s stress response.” North Americans are becoming more in tune with their mental health and the positive effects of having healthy stress-relieving outlets. Though floating is pricey, averaging about $50 to $100 for an hour session, floaters are loyal and swear by its benefits. The REST community is quickly growing. “Unfortunately, in our current high-stress culture, the body’s stress response is activated so often that the body doesn’t always have a chance to return to normal, resulting in a state of chronic stress,” she says. On Scott’s list of ways to relax the body and mind, she put guided imagery right at the top and meditation later on. Some stress can present itself as a challenge. Not all stress is bad, but add too much stress and an athlete can become “worried that they’re going to fail,” says Western’s Hall. This can hinder concentration and ironically result in failure.